• PLOT SUMMARY: "A Game of You" Part 2 of 6. Barbie returns to the Land, a place she has not visited in her dreams since the events of 'The Doll's House' storyline. 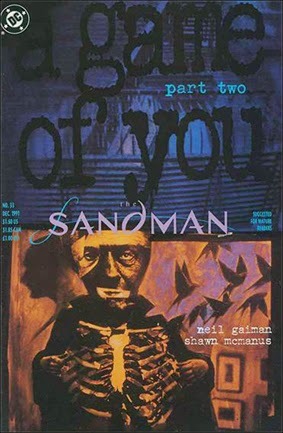 Written by Neil Gaiman, with art by Shawn McManus. Painted cover by Dave McKean. Suggested for Mature Readers.